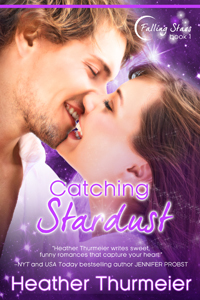 FALLING STARS is a new series of Paranormal Romances. They have the same light-hearted, humorous writing you’ve come to love from my contemporary romances… just with a paranormal twist! But you won’t find any vampires, werewolves or ghosts in these stories. Each book in this series focuses on one of the Seven Sisters of the Pleiades from the Pleiades constellation. Have you caught a falling star yet? More stars are falling soon! This space will be updated as details become available!